There aren’t many people who successfully juggle several different careers. Instead, most people tend to specialise in one thing. Especially when it comes to art. That however, isn’t the case with Japanese artist Miki Yui. She has successfully combined and cultivated several different careers since her career began in 1998. Since then, the multitalented Miki Yui’s career has revolved around: “fine arts and works in the fields of music, drawing, installation and performance.” Eighteen years later, and Miki Yui is a successful and highly respected artist. Her work has been exhibited globally and has won awards and critical acclaim. Especially, the music that Miki Yui has released since her solo career began in 1999. Since then, Miki Yui has a released five solo albums. Her most recent album was Oscilla which was released in October 2015. It was released on her new label MY. The role of label owner is just the latest addition to Miki Yui’s burgeoning C.V. She has packed a lot of living into the last forty-five years. Miki Yui was born in Tokyo, Japan in 1971. Growing up, Miki Yui artistic side began to blossom at an early age. So it was no surprise that in 1990, she enrolled at Tokyo’s prestigious Tama Art University. Four years later, Miki Yui graduated as a Bachelor of Art. This was just the start of Miki Yui’s academic and indeed, artistic career. In 1995, Miki Yui moved to Düsseldorf, Germany, which is still her home today. However, twenty-one years ago, Miki Yui had enrolled to study Video Art at Kunstakademie Düsseldorf. 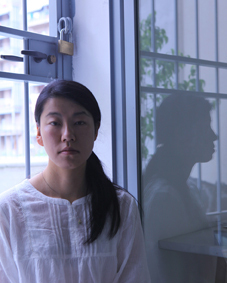 For the next two years, Miki Yui studied under the Dutch-American artist, Professor Nan Hoover. She was a pioneer of video art, and Miki Yui was fortunate to learn from a true great. However, when her course ended in 1997, Miki Yui’s academic career continued. Later in 1997, Miki Yui enrolled at the Academy of Media Arts, in Cologne, Germany. For the next five years, she studied media art and audio visual. By then, Miki Yui’s career was well underway. She recently describes her music as: “sonic landscapes emerging out of delicate noises, samples, electronic sounds, and field recordings.” This had proved popular in 1999, and would continue to prove popular. However, as the millennia dawned, Miki Yui would meet one of Germany legendary musicians. This was none other than drummer Klaus Dinger, the cofounder of Neu! and later La Duesseldorf. He was also responsible for his trademark “Dinger beat.” Miki Yui and Klaus Dinger met in 2000, and this was the start of an eight year relationship. Not only did Miki Yui and Klaus Dinger live together, but they eventually, formed a band together, Japandorf. This was still to come. Before that, Miki Yui’s solo career continued. Two years after the release of Small Sounds, Miki You returned with her much anticipated sophomore album, Lupe Luep Peul Epul. It was released as a limited edition of 500, on the Line imprint, in 2001. 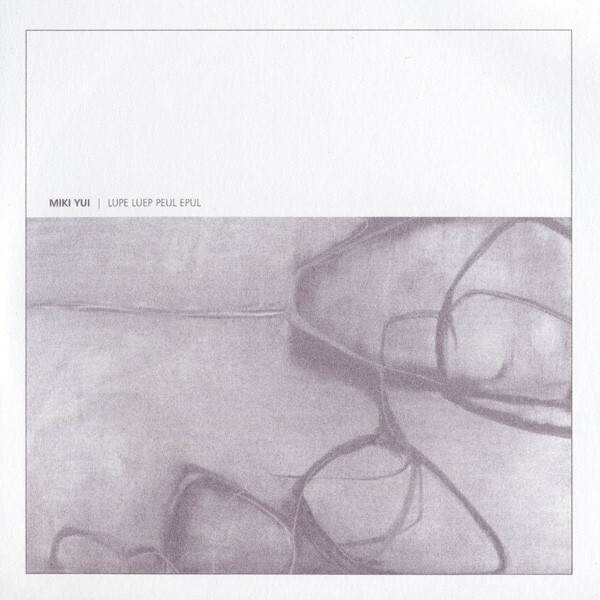 Just like Small Sounds, Lupe Luep Peul Epul was another album of minimalist soundscapes. 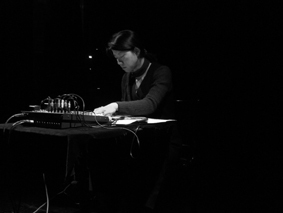 Elements of ambient, abstract and experimental music were combined by Miki Yui. The result was a captivating and critically acclaimed sophomore album. Another two years passed before Miki Yui returned with her third solo album, Silence Resounding. By then, Miki Yui had even more irons in the fire. Somehow, was still able to juggle the different parts of career successfully. This included creating another captivating and enchanting album. 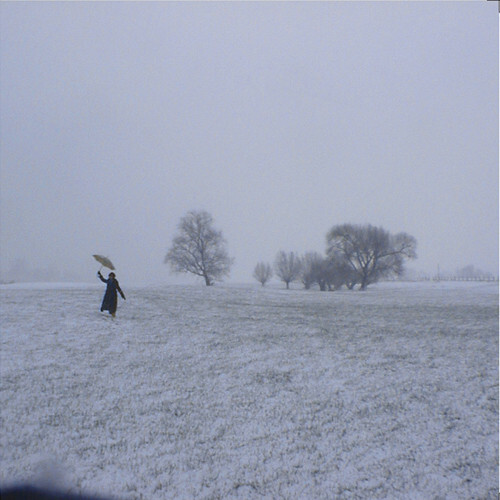 Silence Resounding was released in July 2003, on the Line imprint as a limited edition of 500. Again, the album featured Miki Yui’s trademark soundscapes. They had been carefully and lovingly honed by Miki Yui. She fused elements of ambient, abstract and experimental music to create Silence Resounding. These soundscapes caught the imagination of critics and music fans. Silence Resounding they believed, was Miki Yui’s finest moment. Just a year after the release of her third album, Miki Yui released the first collaboration of her musical career. This was Small Sounds Meet Small Music, a collaboration with the late Rolf Julius. Small Sounds Meet Small Music was a recording of a concert that took place in Torino, Italy on the 16th of April 2005. It showcased the considerable skills of two talented and innovative musicians and artists. 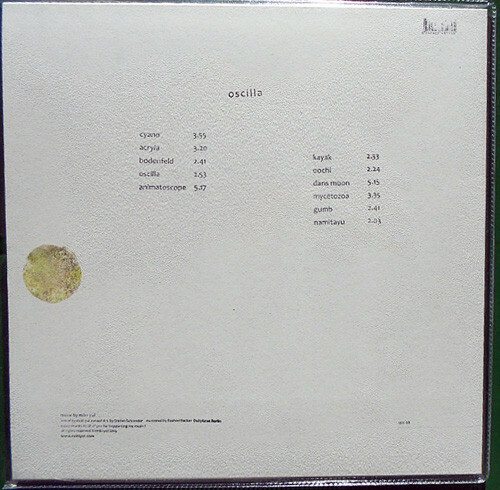 The fruits of their labour was released on the Italian E/Static label later in 2005, as Small Sounds Meet Small Music. Just like her previous albums, Small Sounds Meet Small Music won over critics. However, it was the last album Miki Yui released until 2010. After the release of Small Sounds Meet Small Music, Miki Yui returned to playing with Japandorf. This was a band that she had cofounded around 1998. Over the next few years, its lineup began to take shape. By 2005, Japandorf’s lineup featured Klaus Dinger and Miki Yui. They were joined by the Japanese artist Masaki Nakao; keyboardist Satoshi Okamoto, who previously, had worked with various J-Pop groups and Kazuyuki Onouchi. Together, as Japandorf, they were already a popular live draw. However, Japandorf’s recording career wasn’t going to plan. Japandorf had recorded two albums by 2007. When the albums were completed, they were shopped to several record labels. Alas, none of the record labels were interested in releasing either of the Japandorf albums. Despite this, Japandorf headed into the studio again later in 2007. Recording sessions took place throughout the rest of 2007, and into the spring of 2008. 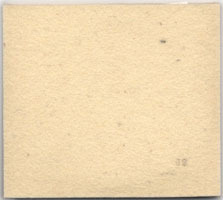 By then, enough material for an album had been recorded. Sadly, tragedy struck on Good Friday. Klaus Dinger passed away on the 21st March 2008. He was just three days short of his sixty-second birthday. German music had lost one of its most talented sons. Miki Yui had lost her partner of eight years. The death of Klaus Dinger looked like the end of the Japandorf story. That however, wasn’t the case. The album that Japandorf had been recording would be posthumously released. Before that, Miki Yui would release her long-awaited fourth album. Seven years had passed since the release of Miki Yui’s third solo album, Silence Resounding. Since then, she had released her collaboration with Rolf Jukius, Small Sounds Meet Small Music in 2005. Miki Yui had also worked with Japandorf, and worked on various non-musical projects. Eventually, though, Miki Yui found time to complete recording of Magina. The eleven soundscapes that Magima had been recorded at the Dingerland-Lilienthal Studio between 2001 and 2010. These soundscape become Magina, which was released on the Japanese label Hören in December 2010. Magina was another captivating album of timeless music. That’s despite the music being recorded over a nine year period. 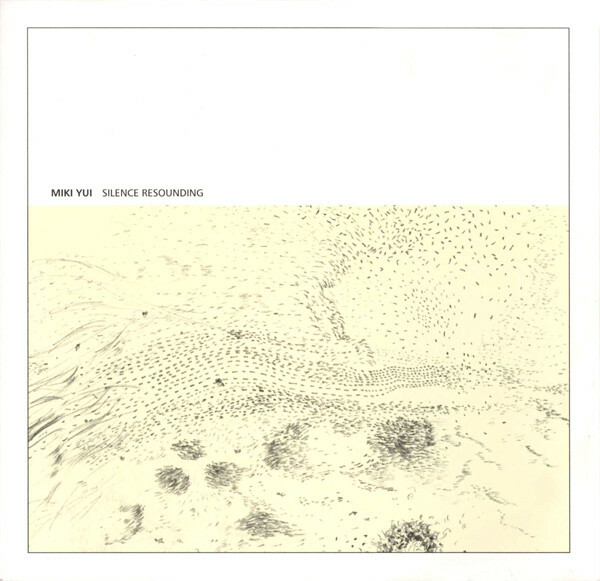 Elements of abstract, avant-garde and ambient music had been combined by Miki Yui. This resulted in what was a return to form from Miki Yui after seven years away. Little did critics know, that it would five years before she returned with her next solo album. Before that, she returned to the Japandorf project. After the death of Klaus Dinger, the album that Japandorf had been working on lay unreleased. Eventually, Miki Yui, who was tasked with curating Klaus Dinger’s musical legacy, began thinking about releasing the album. This must have been painful emotionally. Japandorf was the album she and Klaus Dinger had been working on when he passed away. Despite this, she was Miki Yui was determined to that Japandorf would be released. It she hoped, would be a fitting tribute to her late partner. Little did Miki Yui realise that how problematic the Japandorf would prove. Before his death, Klaus Dinger had envisaged releasing Japandorf as a La Düsseldorf album. The only problem was, that Hans Lampe, whom had been Klaus Dinger’s partner in La Düsseldorf, hadn’t played on the album. As the release of Japandorf drew closer, he decided to block the release of the album. For Miki Yui, it was a case of back to the drawing board. 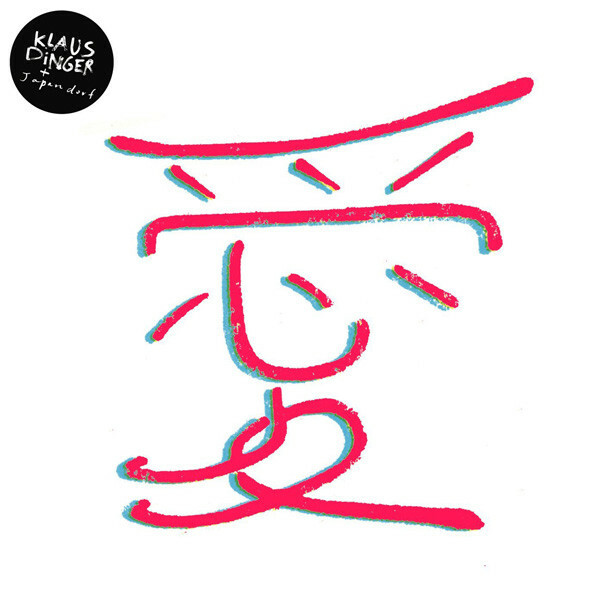 Instead, Miki Yui decided that the album should be released as Klaus Dinger and Japandorf. It was released by Herbert Grönemeyer’s Berlin-based Grönland Records in April 2013. Critical acclaim accompanied the release of Klaus Dinger and Japandorf. Most critics hailed the album a fitting and innovative swan-song to Klaus Dinger’s long and illustrious career. With Klaus Dinger and Japandorf now released, Miki Yui’s thoughts turned to other aspects of her career. This eventually included her fifth album Oscilla. This was the long-awaited and much-anticipated followup to Magina. It had been released in 2010. Since then, Miki Yui had spent time ensuring the Klaus Dinger and Japandorf album was released, and had been focusing on other parts of her burgeoning career. Miki Yui was now a successful and highly respected artist. Her music, drawings, installations and performances attracted a global audience. Especially,across Europe and Asia, where Miki Yui’s work had found a wide and appreciative audience. So she began work on what became Oscilla. Eventually, Miki Yui had written and recorded eleven captivating and enchanting soundscapes. They became Oscilla. 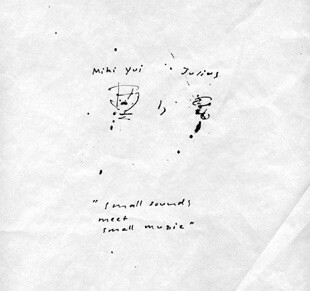 Miki Yui had combined everything from field recordings and electronic sounds to samples and analog synths. These eleven soundscapes are guaranteed to set the listener’s imagination racing on Oscilla. That’s the case on Cyano, which opens Oscilla. Cinematic describes this soundscape, as it unfolds and begins to ebb and flow, all the time revealing its myriad of secrets, surprises and subtleties. Soon, the soundscape shivers and shimmer, as an element of drama is introduced. So are beeps and squeaks, before a drum pounds ominously. Meanwhile, a vortex within the soundscape is joined by a myriad of disparate sounds. Drones, washes and distant chimes joining occasional Eastern and then sci-fi sounds. Still, the drum pounds ominously, providing the heartbeat. As it drops out, drones give way to a clock’s chimes. It seems the bell has tolled, but for whom? Sounds whine and grind on Acryla. It’s sounds as if samples are being played backwards. Still though, they’ve a melodic and mesmeric quality are omnipresent throughout the soundscape. Meanwhile, found and everyday sounds are added to the soundscape. They’re guaranteed to set one’s imagination racing. This includes what sound like a tape rewinding, then a door opening. There’s certainly the fleeting sound of bird sound, and a door closing. Then a sharp rap at a door will startle many an unsuspecting listener, as this compelling three minute mini-drama draws to a close. Bodenfeld crackles into being. This is the unmistakable sound of feedback from a microphone. It provides a backdrop for subtle, distant small sounds. Some are hardly audible, while others buzz, whine and drone. Later an analog synth plays, as the microphone continues to feedback. Somehow, Miki Yui tames the feedback, and in her hands it takes on a melodic sound. She’s a sonic sculptor and hones music hues and tones. They’re transformed them into part of an innovative and inventive soundscape. Stabs of squelchy and growling synths open Oscilla. They sound as if they’re providing the soundtrack to an eighties video game. What makes this comparison seem all the more realistic are the sound effects. Especially what sounds like flippers being pressed frantically and balls clanking and dropping. By now, it seems Miki Yui is replicating the sound of a pinball machine. Meanwhile, a buzzing, gurgling and cheeping electronic soundtrack plays. This conjures up pictures of a hapless Buzz Lightyear trapped inside a pinball machine, as he stumbles over balls and comes perilously close to being swept off his feet and towards disaster. Oscilla with its oscillating synths, features Miki Yui at her most cinematic, as she dares the listener to let their imagination run riot. As Animatoscope unfolds, its cinematic sound is reminiscent of Kraftwerk’s Autobahn or Trans-Europe Express. There’s a feeling of heading on a journey. Then what sounds like a siren can be heard, and the journey is briefly interrupted. One can’t help but wonder why? Soon, the soundscape is flowing along. That’s until the journey is interrupted as the siren sounds again. A drone adds an element of drama, as a radio crackles into life. Has their been an accident on the Autobahn? Then out of nowhere, the sound of birdsong emerges, and dominates the soundscape. Then a dark, moody, ponderous bass is joined by grinding and whining sounds. Still, though, the birdsong dominates on a sound cape that will either enchant, enthral or prove eerie and unsettling. Kayak whines, shimmer bristles and beeps. It seems to tap out a code as washes of ethereal, elegiac synths ebb and flow. They break, like waves on a deserted beach. Later what sounds like a sample of a horn gives way to birdsong. Whining, grinding, shimmering sounds join a rasping horn. They’re among the myriad of disparate sounds that flit in and out. Some reappear, others disappear. All however, play their part in what’s a compelling, melodic, ambient soundscape. As Oochi unfolds, what sounds like a speech sample is played backwards. It’s transformed into part of something new and melodic. It could be some alien language. Especially as the beeps, squeaks and scratches become one. Later, the sound of microphone feedback is added, as the soundscape becomes mesmeric and hypnotic, as it sends out one last message. Straight away, a slow, moody bass is added to Dans Moon’s otherworldly, lumbering arrangement. It assails the listener’s senses, as a myriad of sounds and samples flit in and out. Some make a brief appearance, while others make a regular appearance. They variously whine, whistle and grind. Other times they shimmer, glister and howl. Others rattle and rumble as found sounds are added to the eerie soundscape. What sounds like whisking, metallic sounds can be heard. So can shrill, dripping, whirring sounds. Then at 3.34 there’s silence. Soon, though, the dark cinematic sound emerges. The lumbering bass is joined by gruff, shrill sounds as the soundscape meanders menacingly along. With its dark cinematic sound, this is a horror soundtrack-in-waiting. A shrill drone is combined with the sound of running water on Mycetozoa. Soon, what sounds like a helicopter is replaced by birdsong and then running water. Still, the shrill drone ebbs and flows. It’s joined by a variety of found and electronic sound. There’s even a sample of speech. It has been chopped up, and makes two brief appearances. This is designed to add to the cinematic sound, as sound scamper in and out of this enthralling soundscape that’s full of twists and turns aplenty. A detuned string instrument is plucked with a degree of urgency on Gumb. Meanwhile, what sounds like a sample of traction engine turns over in the distance. Every so often, it’s interrupted, while the sound of the string instrument is omnipresent. 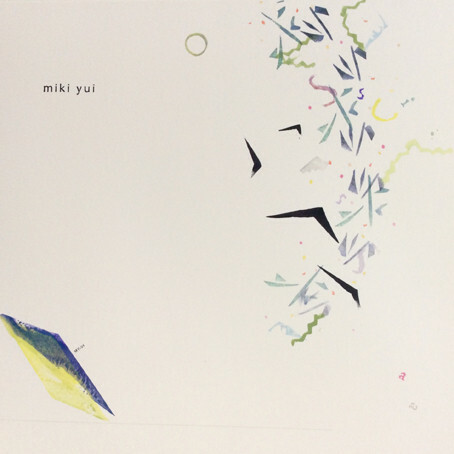 Sonically, it’s twisted out of shape by deploying effects, as Miki Yui plays with urgency and drama, as she becomes an avant-garde equivalent of Jimi Hendrix. This is impressive and and memorable sound and performance. Namitayu closes Oscilla. A droning sound draws nearer. Soon, its plaintive and mournful cry washes over the listener. It gives off a wonderfully wistful sound. This briefly becomes futuristic, before all too soon, Namitayu disappears leaving only the memory of two quite beautiful minutes of music. Miki Yui has kept one of the finest soundscapes until last. Five years after Miki Yui released her previous album Magina, she returned in 2015 with what has to be a career defining album, Oscilla. It features eleven captivating, cinematic and enchanting soundscapes. They were recorded by Miki Yui, using everything from field recordings and electronic sounds to samples and analog synths. These eleven soundscapes are guaranteed to set the listener’s imagination racing on Oscilla. That’s the case from the opening bars of Cyano to closing notes of Namitayu. For thirty-seven minutes, Miki Yui takes the listener on a musical journey. All they need to do is let their imagination run riot. Those that do, will be richly rewarded, as a myriad of disparate sounds assail them. They help paint pictures in the mind’s eye, and soon scenarios are unfolding. The listener is playing a part in a series of short plays, where they provide the script. Miki Yui has done the hard part, and has provided the music.Much of the music on Oscilla is best described as cinematic. However, it’s much more than that. Sometimes, the music on Oscilla is beautiful, ethereal and elegiac. Then it becomes dark, broody and moody. Other times, it’s melodic, melancholy and mesmeric. Occasionally, it’s chilling, eerie and unsettling. Mostly, the music is understated and minimalist. Always, the music on Oscilla captivates and is innovative and inventive, as Miki Yui combines disparate musical genres. 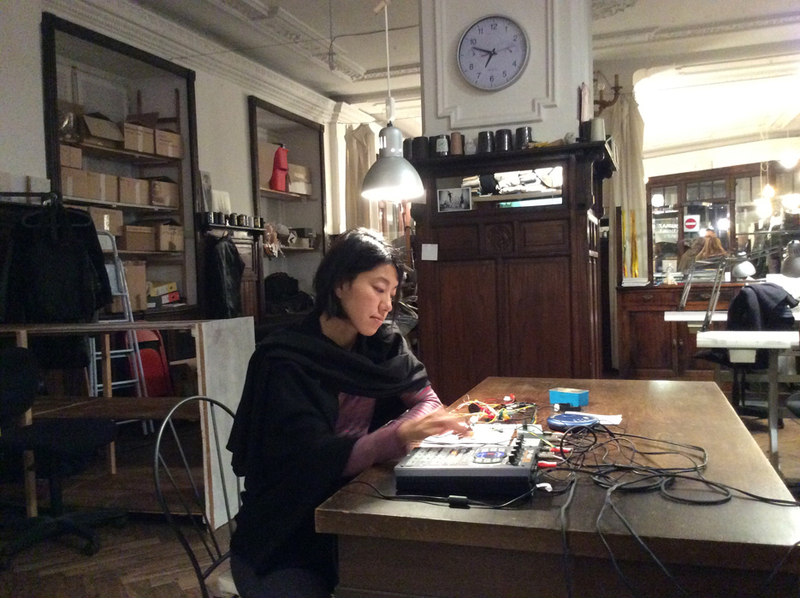 She takes elements of ambient, avant-garde and Berlin School, and combines with experimental music and what John Cage called “small music.” This results in Miki Yui’s trademark sonic landscapes. They’re a fusion of of delicate noises, electronic sounds, field recordings and samples. Eleven of these sonic landscapes feature on Oscilla, which is, without doubt, the finest album of the multitalented Miki Yui’s career. While many people would be happy to enjoy a successful musical career, Miki Yui has many strings to her bow. Her drawings, installations and performances have found a global audience. That’s been the case since her career began in 1998. Eighteen years later, and Miki Yui is now a hsuccessful and highly respected artist and musician. She has released five successful albums. Her finest album is Oscilla. It’s a career defining album from Miki Yui, who is a true musical pioneer who creates cerebral and cinematic soundscapes like those on Oscilla. ← FORASTERO-EL SUBMARINISTA EN EL TEJADO.